So Mary Jane isn't actually in preschool..... she has two and half years before K... still not sure what we will do for preschool... but that's a post for another day. I am off on a tangent but I can't help it. I really don't like calling her a preschooler... but she's no longer a toddler... so preschooler is the best definition I have found to describe a 3 year old even though she is not in a formal preschool. 1. While we have television sets at home, we don't watch much at all with children. I don't judge others that do... I just know for me it would be a slippery slope and I'd rely on TV too much. Right now we allow the girls to watch TV on Saturday morning and occasionally if John or I are not home during bedtime routine. They each get to choose a show. Right now MJ has a new favorite cartoon-- Peppa Pig. 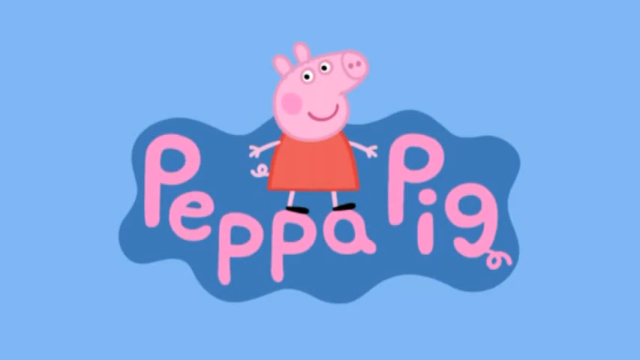 Peppa is English and has an adorable accent. Her cartoons are only 5 minutes long. Very pleasant... not as formulaic as Dora which the girls love too. 2. The influence of God. Seriously, MJ is so impressed and empowered by the concept of God and Jesus. We were recently talking about our brains and she asked if God could see her brain. People.... she's starting to get it. Makes me think the work we are doing is.... working! 3. Clothing-- Anything and everything Hanna Andersson... It's expensive (in my opinion) but it lasts forever... and washes so well. 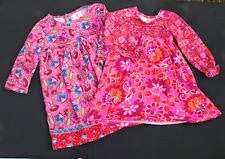 I am a bit of a nut about staying modest too... so Hanna dresses work well with leggings underneath even in the summer. 4. Food.. my girls are good eaters, especially MJ. She loves veggies but her most recent favorite is roasted broccoli. If you have started roasting broccoli yet, do. It is fantastic!! 5. BFF.... seriously folks, I love this girl. She is my Korean-American mini-me. Three years old is fantastic. We have conversations. She makes me think.... she is definitely one of my besties! Loving loving loving this age! Hi! I found you through Hallie's, but I'm pretty sure I knew your husband at LMU. My 2.5 year old loves Peppa. He named a stuffed animal after her and he calls British accents "talking like Peppa" - so we think she's a winner too! Oh gosh, my little guy gets excited when I put Peppa on. He's pretty little and I don't think he has any clue as to what's going on. But it's a helpful little break for me when I need to grab his lunch or run to the restroom.